This article discusses the effect of clustering on statistical tests conducted with school environment data. Because most school environment studies involve the collection of data from teachers nested within schools, the hierarchical nature to these data cannot be ignored. In particular, this article considers the influence of intraschool correlations on tests of statistical significance conducted with the individual teacher as the unit of analysis. Theory that adjusts t test scores for nested data in two-group comparisons is presented and applied to school environment data. This article demonstrates that Type I error rates inflate greatly as the intraschool correlation increases. 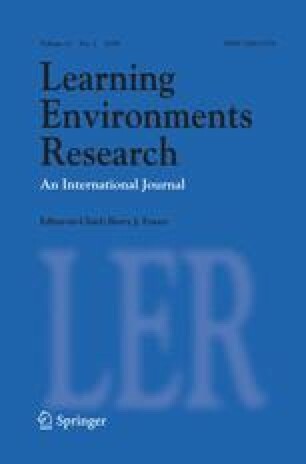 Because data analysis techniques that recognise the clustering of teachers in schools are essential, it is recommended that either multilevel analysis or adjustments to statistical parameters be undertaken in school environment studies involving nested data. Freedman, D. A. (1999). Ecological inference and the ecological fallacy (Report prepared for the International Encyclopedia of the Social and Behavioral Sciences, Technical Report no. 549). Retrieved August 30, 2007 from www.stanford.edu/class/ed260/freedman549.pdf.